This one is an Eggcup with brown shoes and blue striped & spotted socks. 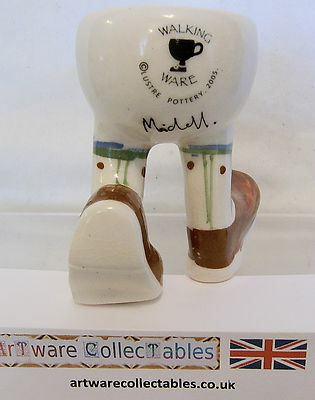 It is freestanding and so has the Lustre Pottery Walking Ware backstamp on the rear which is also signed by Roger Michell. There is evidence of crazing with the odd tiny spot of paint under the glaze. There are no chips/nibbles nor restoration work. 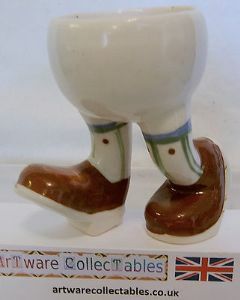 The overall height of the Egg Cup is 3.25 inches (8.25 cms).